Supreme Master Ching Hai, who was born in Vietnam. Ricky Dearman is a fan of Ching Hai, the leader of a cult. Ricky Dearman, the father of Alisa and Gabriel. Ching Hai's cult takes an interest in children all around the world. 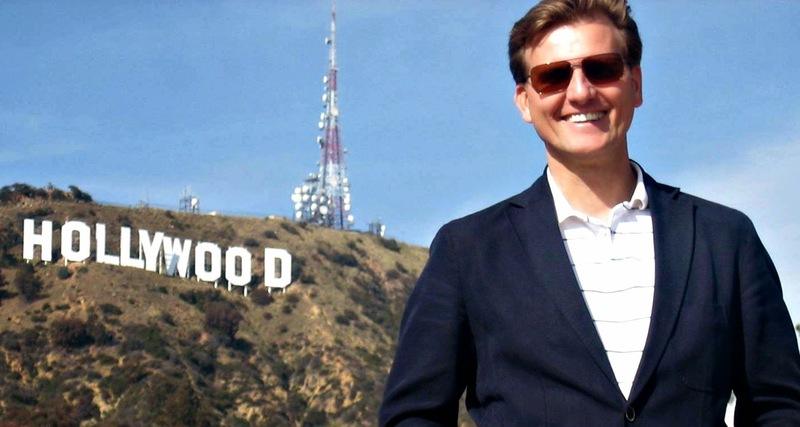 Ricky Dearman has an interest in children in Haiti. Supreme Master Ching Hai is the spiritual teacher of the Quan Yin Method which an estimated 20,000 followers world wide. Ching Hai heads the Supreme Master Ching Hai International Association, a business group with worldwide interests in restaurants, fashion and jewelry design. Metroactive reported that in Taiwan Ching Hai set up two front organisations to make awards to herself. In 1996, Ching Hai asked her followers to contribute money to the Clinton Presidential Legal Expense Trust. The Taiwan government investigated her organization for "alleged fund-raising improprieties", which included a transfer of $2 million outside of the country. 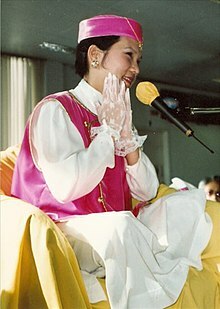 Ching Hai was criticised in the Western press as "The Immaterial Girl: Part Buddha, Part Madonna", and as "The Buddhist Martha Stewart ... merchandizing mystic from Taiwan." The cult maintains websites in at least 17 languages. The source of wealth behind the group's charitable efforts and its media empire 'is a mystery'. In 1998 the organization staged a concert for donating to several prominent children's foundations in the USA. Quan Yin Method was introduced on the Chinese mainland in 1992. In 1995, in China, it was labelled a "cult organization". I know about this path of meditation, they teach non violence, veganism (abstaining from all cruel foods from the dairy and meat industry) abstinence from alcohol, smoking, drugs etc, and as far as I know, Ella Draper, the children's mother, and the children themselves practice the teachings of Ching Hai don't they? And from everything I've heard, Ricky was a very sloppy practitioner of the Quan Yin Method, but that Ella Draper and the children were much better followers in terms of their meditation practices, their adherence to the vegan diet etc. I'm not defending Dearman here OBVIOUSLY. But I am rather puzzled at the thrust of this recent piece. And I see nothing so objectionable in either the Quan Yin path, or the activities and beliefs of Ching Hai. Apart from the scare word "cult" because let's face it, some orthodox christians will call any group that's outside the orthodoxy a "cult" in an insulting way. This doesn't necessarily mean anything labelled a "cult" is bad. Following your coverage of this event everyday Aangir, and am behind you, these children need to helped and saved from atrocious abuses, but just not sure about this particular article. then 8 and 9yrs old in September 2014. A cover up of systematic sexual abuse of these two children, involving the London ‘Royal Courts of Justice’. Also ‘Daily Mail’, ‘Telegraph’, ‘The Mirror’, ‘Ham&High’ (Hampstead and Highgate newspaper) and just recently, over a year after the initial exposing, ‘The Sun’. In a panicking attempt by these abusers to cover their evils. Also a few disinformation conspiracy sites including ‘WideShut’ and ‘Spiked-online’. Also as you can probably imagine, the BBC also play a part in this cover up. We can uncover. Their mother felt her life to be at threat due to the infiltration of police regarding this abuse, so has fled the country to be in a safe place to compile evidence and support, and to attack this system. We need to make people aware and vigilant so this corruption within institutions can be cleansed. The brother and sister have made extensive testimonies regarding places and people involved in North London. Police interviews are uploaded to the internet, which we must now see as a blessing as sad as the situation is. The plan is to make as many people in the world aware and confident with the knowledge of who is telling the truth: The children! There are many false account names on Facebook and YouTube, trolling to cause confusion and delusion. They try to suggest that they/others are uncovering truth, but it seems the child abusers are throwing accusations back and forth to confuse an unsuspecting public, and to cause distraction. Please – Look at ‘Hampstead cover up child abuse’ on YouTube and Facebook Google with an open mind. Please don’t be fooled by shallow press comments. Look deeper. I know you are anything but pro Jesus Christ but on this occasion you took up my concern in this case the cult Ching Hai. This came as a surprise to me as I thought you were very much pro Eastern Mysticism or perhaps Buddhism or simply Meditation? Forgive me for these belief systems are alien to me so I don't know which to refer to or how to refer to such. Are you Buddhist or of another belief or are you in fact CIA? I don't have a problem with that for even if you are CIA you raise very interesting issues which thinking folk ought to be concerned with, just as I try to do in my own small way. I am a total fan of the Jesus who was/is in tune with the 'Holy Spirit'. The bad guys infiltrate everything, including the Christian churches and the Eastern religions. Many religious groups have become fronts for the CIA. You can be a Christian and/or Taoist and not believe in the Billy Grahams and Ching Hais of this world. Lots of naive people have become fans of Ching Hai, just as lots of naive people have become fans of Leadbeater. oh wow^ my post here is in direct connection with this and I'm only reading it now. Secret societies are bad, and the abuse of innocents is always their aim. The majority of people worldwide know that is so, for they see it, and suffer for it. Jack Kennedy, assassinated by the Nazionists for telling the truth and against war on humankind for the money changers and their batshit crazy secret societies: Masons and Talmud freaker, along with their lowlife thugs in the mafia and every other criminal or warmonger. Children from the Christchurch Primary school took part in a ceremony with the Major of London at St Pancras to unveil Olympic rings. Info. on Olympic symbology here, and ley lines. One comment: London Ley Lines charged with etheric human fear? Info. on North London ley lines here, including Hampstead one. If abuse happened, did it negatively charge ley lines in NW3? If it didn't happen as described, would the stories and images still do the same job there? Some ppl find it hard to use their intuition to feel what is happening here. Feels like a manufactured energy of confusion? Just some random thoughts. There has been some changes made to Ricky Dearman's companies, Natural Vitalities Research Ltd. There has been some activity with one of Ricky Deompanies, Natural Vitalities Research Ltd. This new information is in the first link. These changes were made this week. Is there a clean up going on. Is it beneficial to RD to no longer have any links to Office 36 88-90 Hatton Garden, London, EC1N 8PG ? He is a real 'humna resources' business man. So to speak. Street full of jewelry shops.